US-based mattresses and sleep products firm Therapedic International recently introduced a new line of cooling sheet sets with technology by Atlanta-based brrr° that keeps people cooler for a better night’s sleep. The sheets use technology that combines the power of natural cooling minerals, active wicking and rapid drying to create a ‘triple chill effect’. The effect instantly and continuously draws heat and moisture away from the body. Unlike other products that are coated or sprayed to achieve a cooling effect, the brrr° technology is embedded into the yarn and structure of the fabric, leaving little scope of washing out or fading. 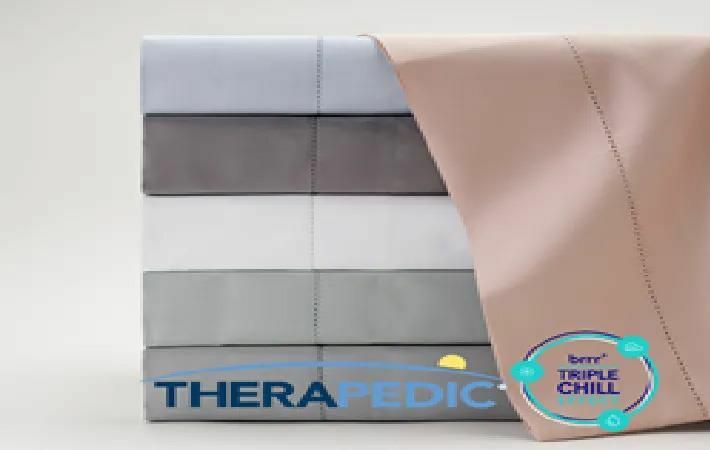 The Therapedic brrr° sheets are available exclusively at bedbathandbeyond.com, according to a press release from the company. Therapedic brrr° 500-thread count sheet sets come with a flat sheet, fitted sheet and pillow cases, with additional pairs of pillowcases sold separately. The fitted sheet features extra wide elastic to hug mattresses up to 18 inches deep and includes directional labels for easier bed making.